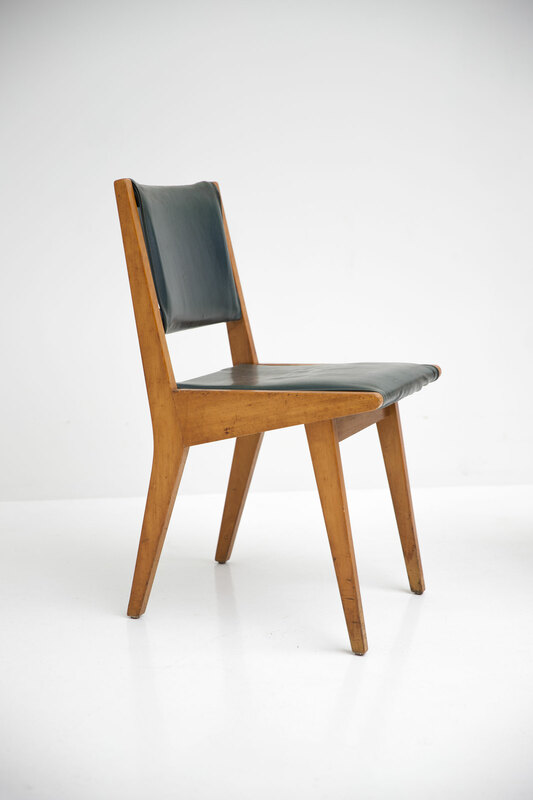 This early edition of the 666 chair was produced by De Coene. 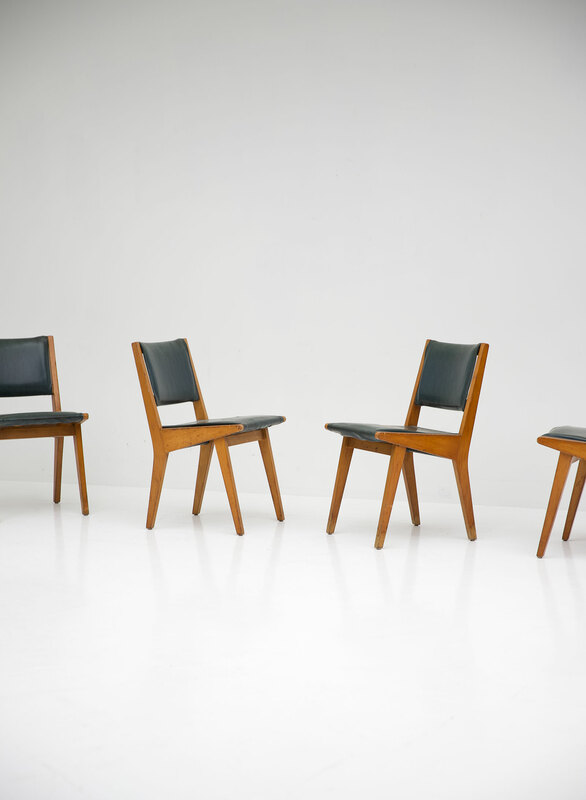 Since 1954 De Coene became the Benelux producer of the expensive Knoll furniture. 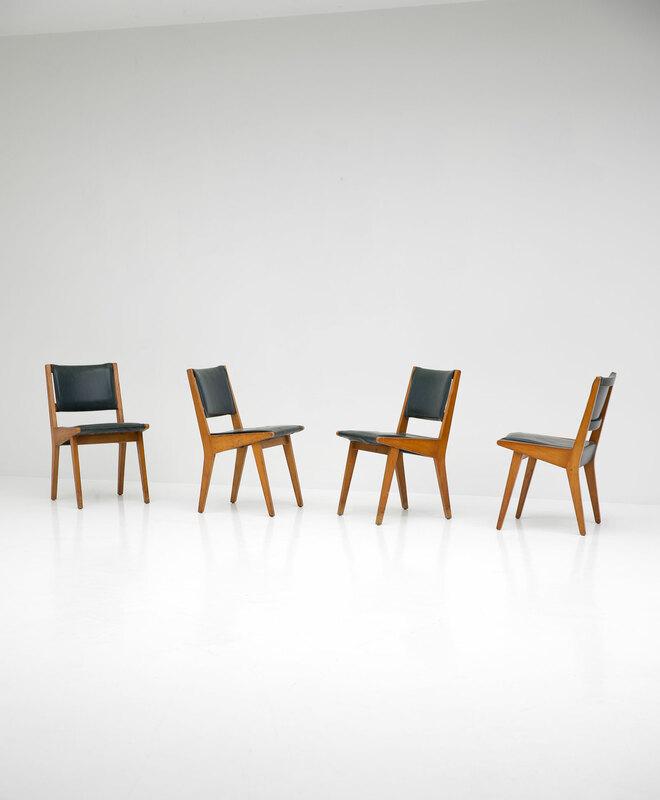 This rare old set of chairs are in all original condition. 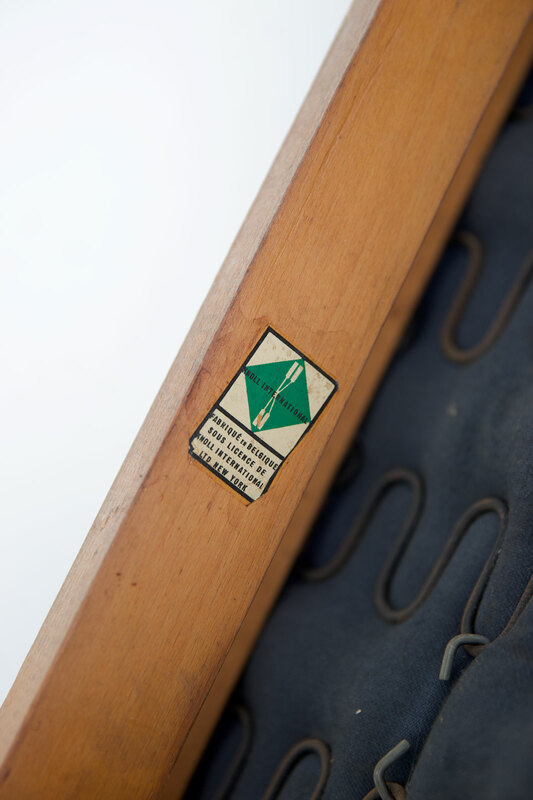 Each chair is marked underneed with a Knoll logo. 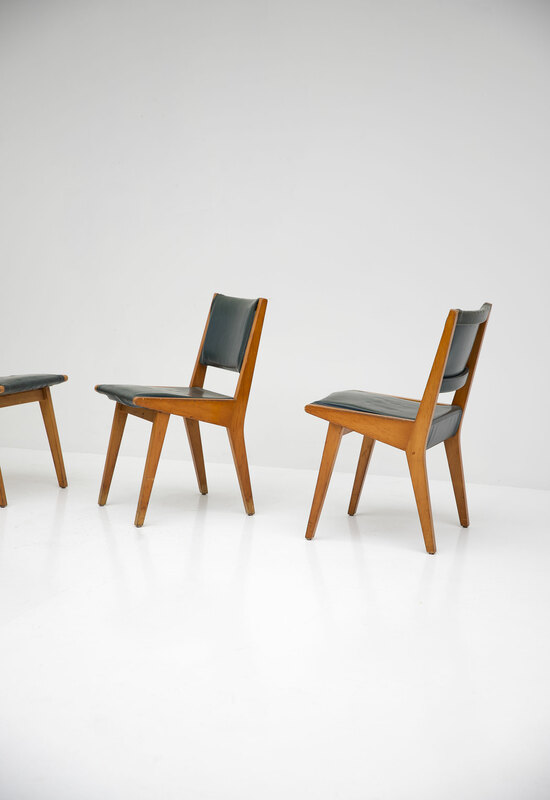 As seen on the pictures the chairs have a incredibal nice patina. 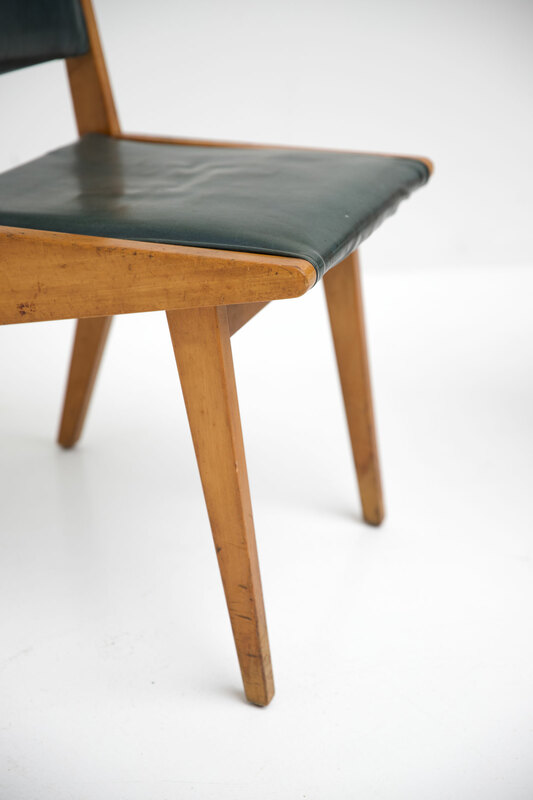 Jens Risom joined the young Hans Knoll Furniture Company in the early 1940s as the sole designer of interiors and furniture. 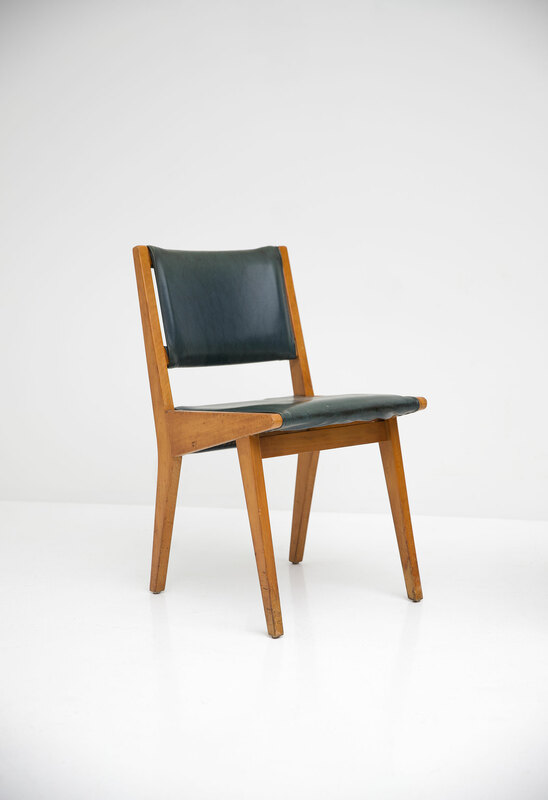 Born in Denmark to the well-known architect Sven Risom, Jens worked in Stockholm for one year before graduating from the prestigious Kundstandvaerkerskolen in Copenhagen.